Where Should I Be Sitting in My Classes? Every seat is the same if you’re learning the same material, right? In fact, this might not actually be the case. Research has shown that students who sit closer to the front of the lecture hall tend to perform better than their peers seated behind them. If you still don’t believe me, here’s four reasons why sitting at the front of class could help put you on top of your class. Sure, some students use their laptops to actually take notes. But let’s not pretend that a lot of those students aren’t also online shopping, scrolling through social media, or taking quizzes to see what type of french fry they are (I’m a shoestring fry, in case you were wondering). The further back you sit in a lecture hall, the more laptop screens you can see and chances are, the more distractions you’ll have. Try to sit as close to the front of the room as you can so the only thing that is capturing your attention is the lecturer. Now this might sound like a con to sitting closer to the front of lecture halls, but hear me out! There’s plenty of benefits to having your professor recognizing you in a large class. For one, if you go to your professor after class to ask a question or seek extra help, they are much more likely to recognize you and know that you truly do attend their classes. This will allow for professors to know that you’re committed to their class and deserving of their help. After all, building those relationships with your instructors and having them recognize you can never be a bad thing, especially if you’re hoping to get an academic reference for graduate school or a job application down the road. I don’t know about you, but I’m much less likely to check my phone or go on off-topic websites when I’m sitting towards the front for the fear of everyone behind me watching what I’m doing. Not only this, but having the lecturer nearby and looking right in your direction will help you to stay on task and focus on your notes if you often find your attention wandering during classes. Do you ever find yourself having to run off to your next class, but needing to ask the professor a question after class is over? By sitting closer to the lecturer, you’ll be first in line to ask the professor any questions you have. 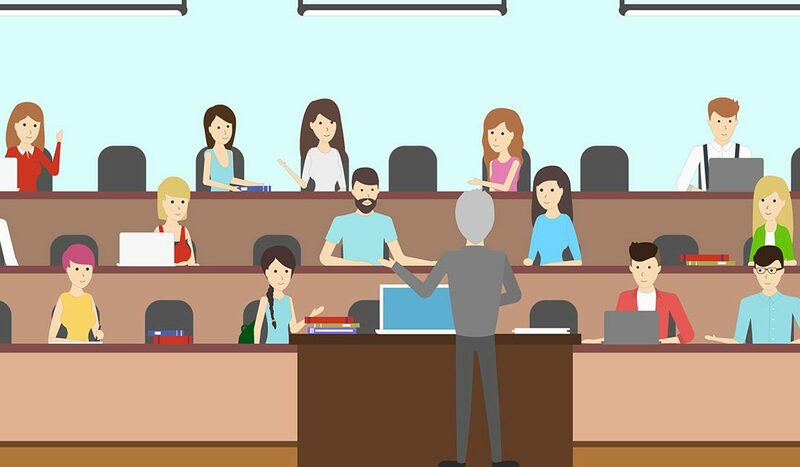 These are just a few of the ways that sitting at the front of the lecture hall can help you to improve your attendance record, stay focused, and be the best student you can be. The front row is often one of the most deserted rows, but now you know that it’s really the place to be!